You can use your DSLR camera to take awesome photographs, but if you want more magic effects, the following DSLR lens wheel of filters may be able to catch your eyes. 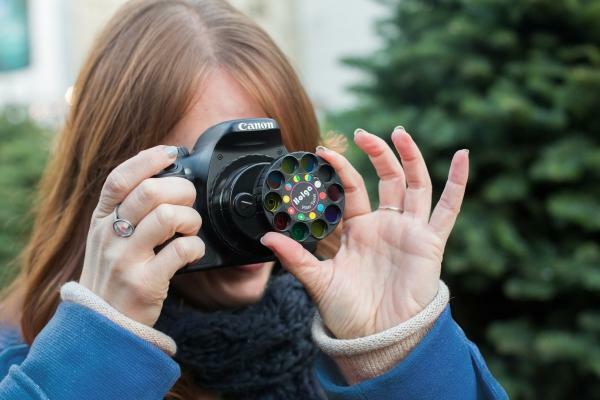 This is a pretty cool DSLR wheel of filters designed to offer you an easy way to switch various interesting filters and prisms on your DSLR camera. 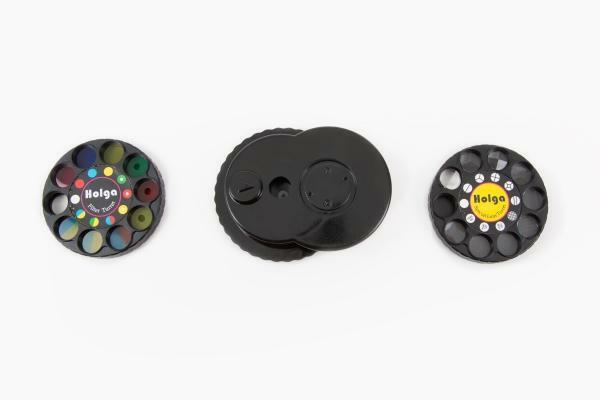 As we can see from the images, the wheel of filters consists of three parts including a unique Holga lens base and two interchangeable filter wheels. 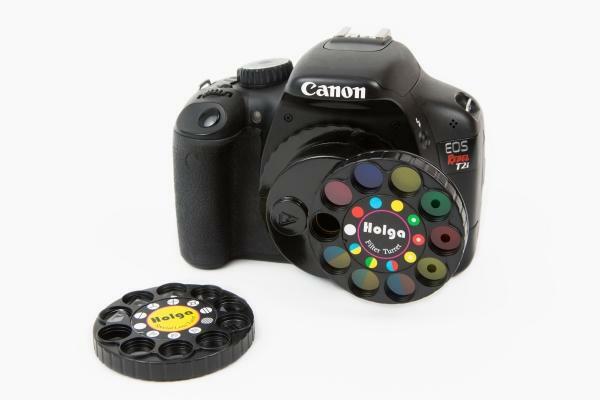 The color filter wheel has 9 different color filters, while another lens wheel comes with three macro lenses and six prisms. Just mounting the lens wheel on your DSLR camera and spinning the wheel, you can easily change the filters or prisms in order to find out you favorite effects for different moments. The DSLR lens wheel of filters is available in two models respectively for Nikon and Canon DSLR cameras, and each one is priced at $40 USD. If you’re interested, jump to Photojojo online store for more details.